We are always on the look out for emerging artists and designers, if you can see your work exhibited alongside the following talented people send us an email and introduce us to your work. I am a Graphic Artist and my creative projects are heavily influenced by my many interests and hobbies. These usually include a healthy combination of Brick-A-Brack, Screen Printing, Rock & Roll Dancing, Blues Piano, Velvet Dinner Jackets, Art Deco Theatres, Record Shopping, The Creations Of Jim Henson, Ten Pin Bowling, The Hohner Harmonica, 1979 Bedford Short Wheel Based Vans, Print Gocco, Vintage Comic Books, White Elephant Stalls, Animation, Drive-in Movies and Cuba. Aaron is a graphic design student and photographer based in Brisbane. 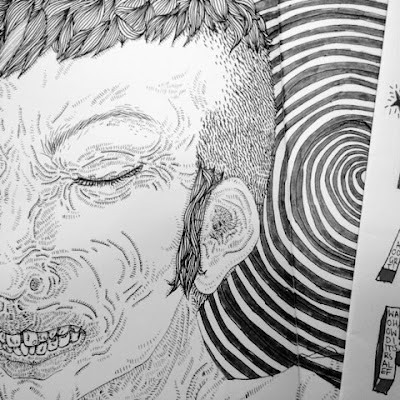 He has always felt the need to perpetually create, whether it be simple line drawings or large scale projects like his recent independently published magazine '35mm'. 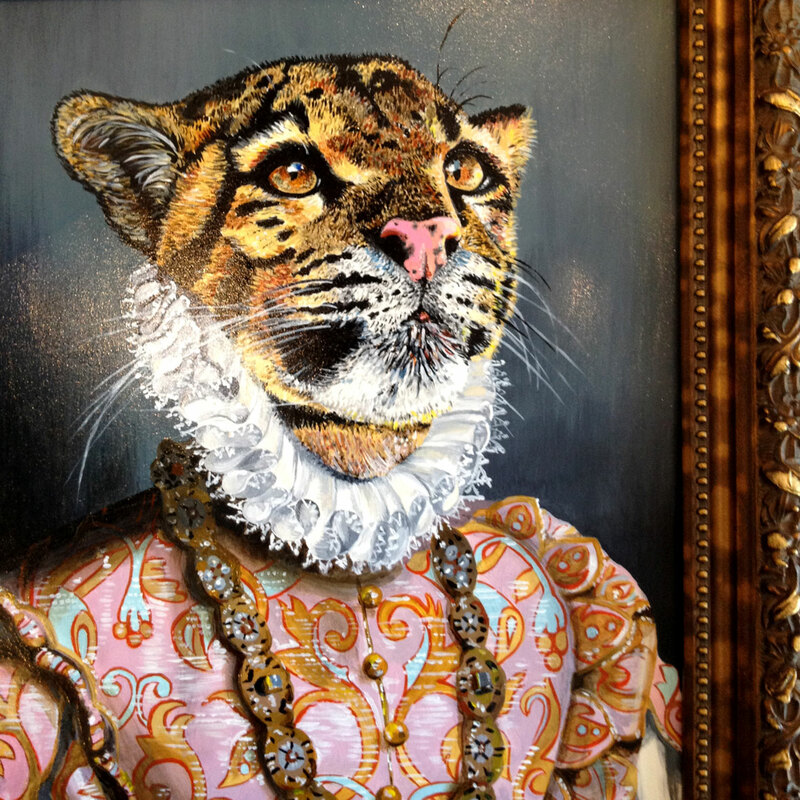 His work has a strong emphasis on the visual, usually shown through photography or in complex digital collages. 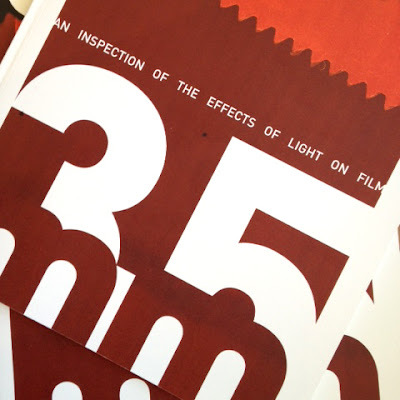 His magazine '35mm' is a close inspection of the effects that light can have on 35mm film and serves to celebrate an under-documented aspect of film photography. Alex Erenbourg was born in Russia and has lived in Australia for the last twenty years. He was trained as a jeweler - designer in the Moscow Collage of Applied Arts, and it was in his jewellery craft where he developed his artistic vision and his aesthetic appreciation of fine detail. 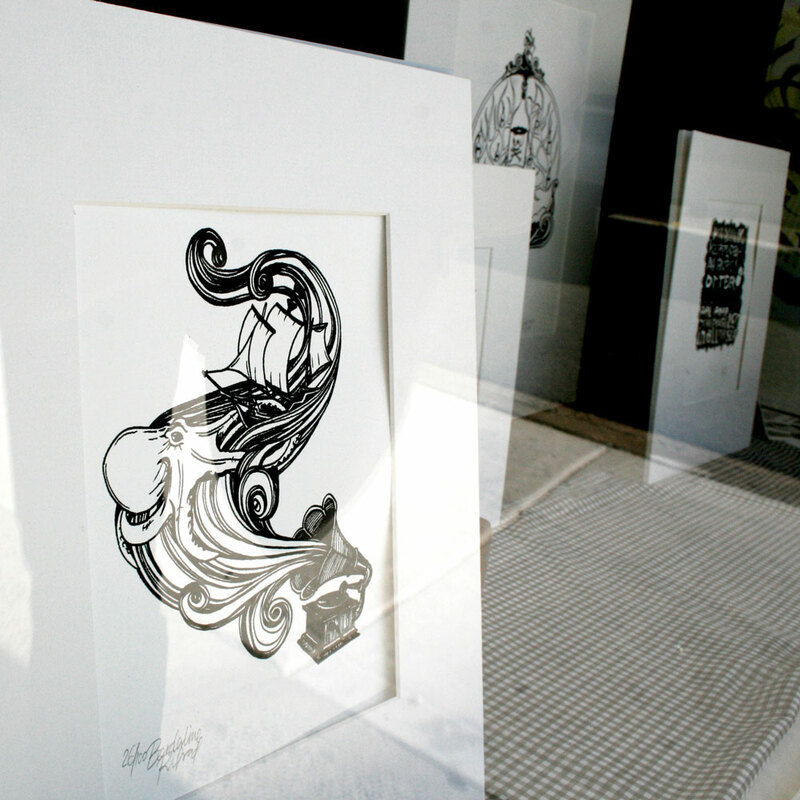 Over the years, his work as a jeweller has been exhibited and sold in many art galleries across Australia and overseas. 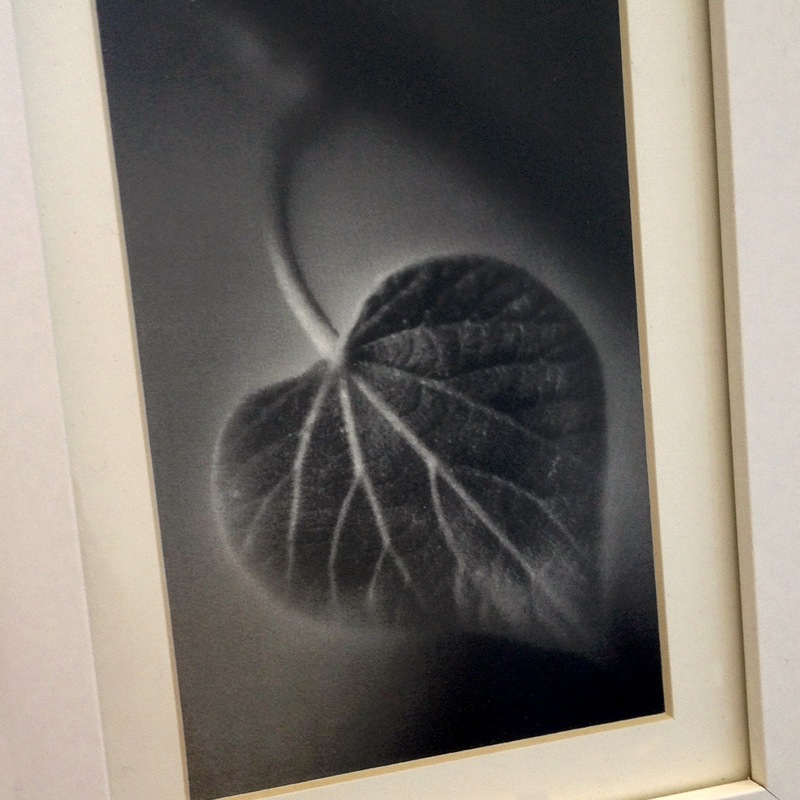 He has taken an interest in black and white photography as a hobby which has later grown into passion. Alex remains true to is own style in this fascinating medium. As an artist, he is interested in how tones, lines, and shapes work together to convey feeling and emotion in the viewer. After completely my degree in Communication Design at RMIT University in 2005, I decided to start designing under my own name, for a bit of fun and as an outlet for my creativity. 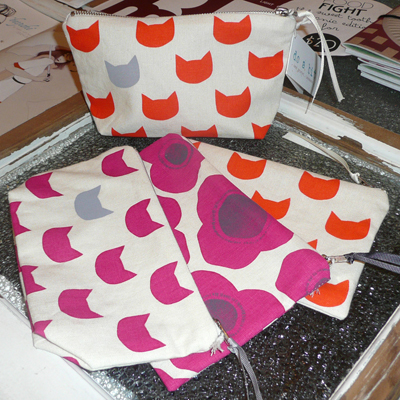 My designs are quirky, playful and aimed for people of all ages, who want to bring out their cheeky, childish nature. Anais Taylor is a designer and illustrator inspired by nature and her local farmers markets. She aims to create art to inspire people to live more seasonally and sustainably. 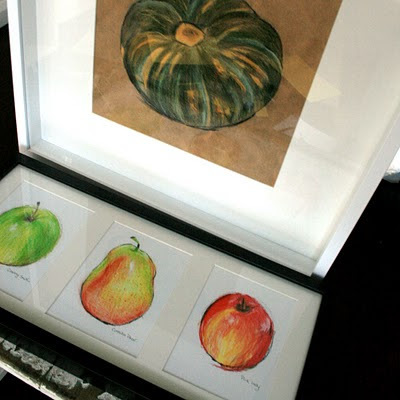 She is currently creating a calendar of seasonal produce featuring her drawings of organic fruit and vegetables and filled with ideas for living with the seasons. The calendar will be available from Sweets Workshop and selected health food stores and co-ops. Andy Geppert is from Brisbane Australia and in between late nights developing children’s books, he creates pictures that speak directly to your inner child. 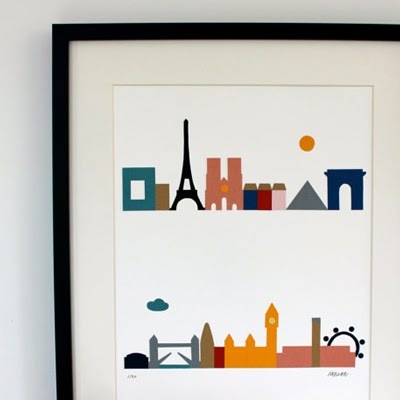 After many years working in the advertising industry as an Art Director, it is no great surprise that Andy has turned his focus towards creating playful images that capture your imagination. Andy Geppert’s first picture Book, Little Big Tree, was a joint winner of the Children’s Book Council of Australia (CBCA) Crichton Award for 2010. I am a Laotian-Australian artist. My work playfully celebrates domesticity, kitsch, childhood recollection, un-natural beauty, familiarity and nostalgia. I find inspiration in Golden Age musicals starring Doris Day and Carmen Miranda, Betty Boop, rose perfume, old nannas, cake, red lipstick, exotic fruit and flowers. I am an avid collector of all things old including dog-eared children’s books, vintage clothing, aprons and textiles, 50’s and 60’s kitchenalia, grubby dolls and old stained cookbooks. 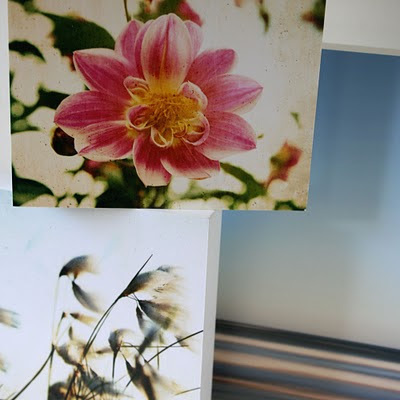 These evocative objects help to articulate personal experience and memories in my work and reconnect to the past in a more nostalgic and desirable way. My work also explores the conflicting relationship between the intimacy of everyday life and the yearning for escape and fulfillment. 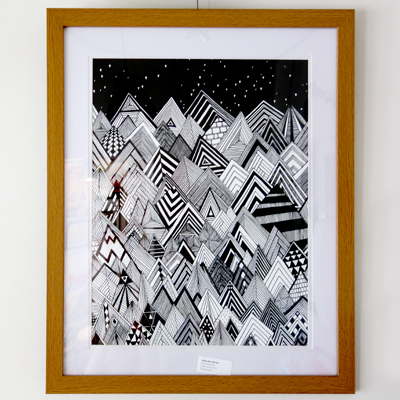 Michaela’s background in illustration and graphic design complements her eye for craft, colour and composition. She creates out of her Sydney studio with the support of her loving boyfriend and the assistance of two inquisitive Tonkinese “helpers”. 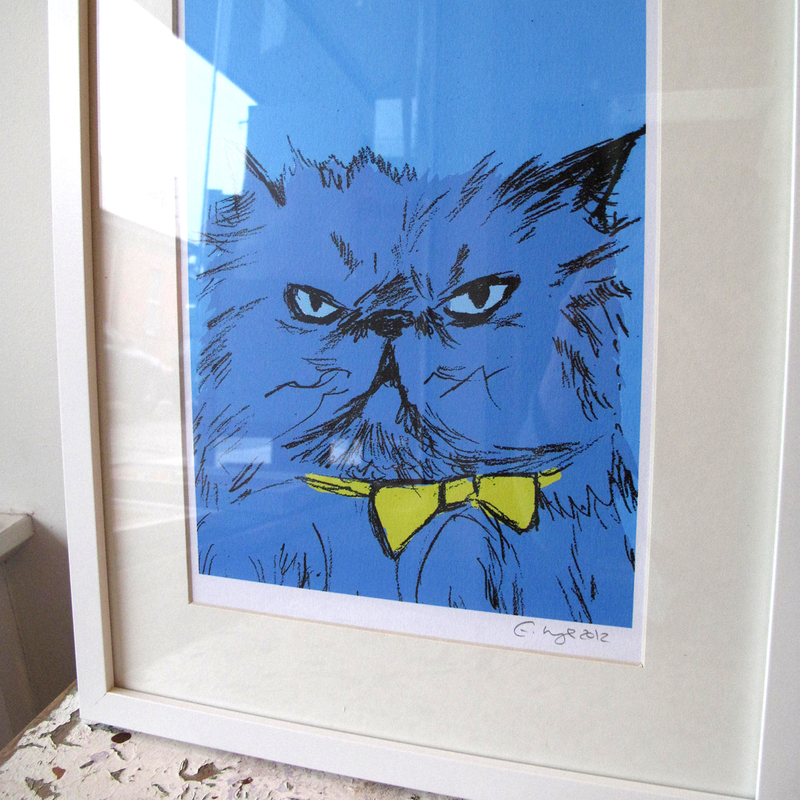 Her sense of fun and humour is best encapsulated by Michaela’s eclectic, colourful ANTIPASTEL offering. Simply incapable of sticking to one technique, among the mix you’ll find DIY kits, pompom hair accessories and one-of-a-kind polymer clay necklaces. 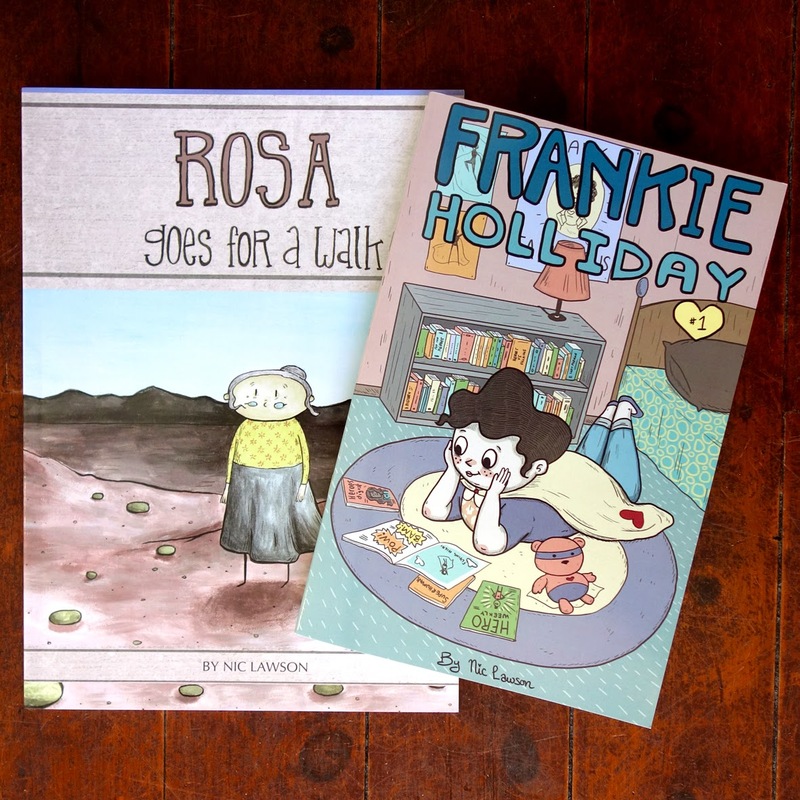 I am an artist and illustrator living on the top of a hill at the bottom of the world (southern Tasmania). 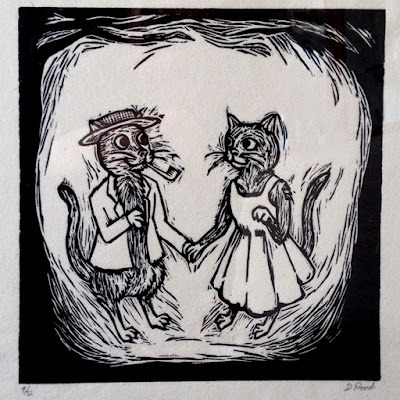 I spend most of my time screen printing T-shirts and posters, drawing, making woodcut prints, painting, and collaborating in projects with my partner Jacinta who is a furniture designer and maker. 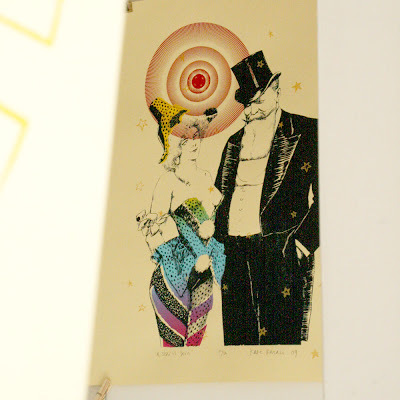 My work is extremely inspired by music, particularly Tom Waits, Modest Mouse, Bob Dylan, The Pogues and Nick Cave. Some of my other influences are old ships, storms, antique instruments, Jack Kerouacs books and poetry, sea creatures and myths, old farm houses and the harbour and architecture in Hobart, Tasmania. Benconservato is the alias of Emma Kidd an artist / illustrator. She has traveled and lived in Europe and a land of mythical animals. Her heart is still in both, despite loving being back in Australia. She encourages you to find your inner monster. 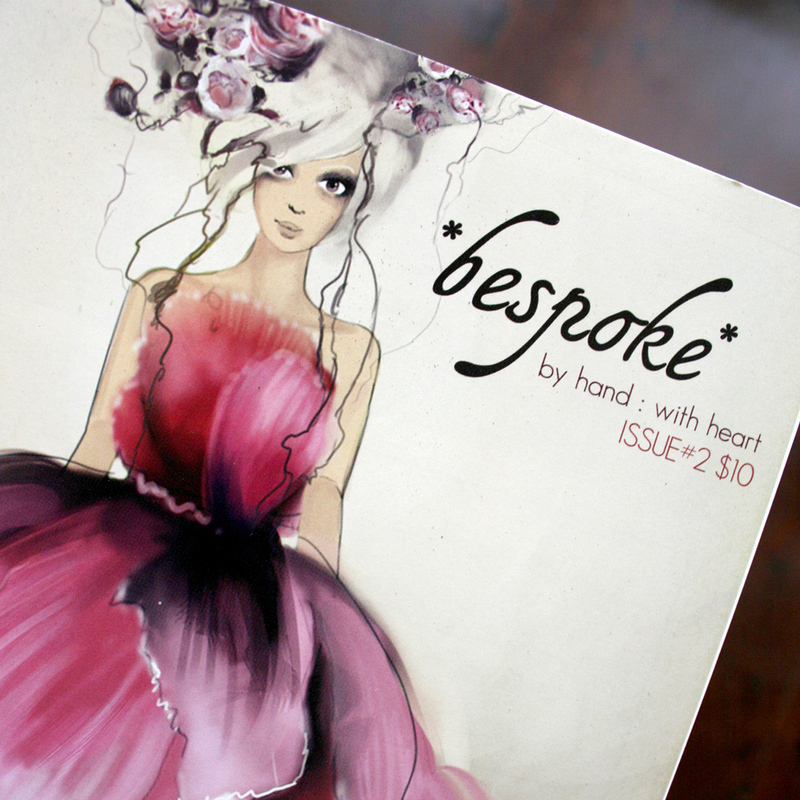 *bespoke* is a new full-colour Aussie zine about handmade, vintage, photography, art, micro-business, eco-friendly goodness and much more – all in a sweet little A5 sized package that you can take anywhere! It's the perfect size to slip into your handbag and pull out to read on the train or the bus, or to read at home with a cup of tea. Filled with interviews, stories, tutorials, artist features, and giveaways - among other things - *bespoke* is a little slice of creative inspiration! Beth-Emily has always been good at colouring in, especially between the lines. For her efforts her teachers used to give her shiny stickers, generally depicting an overly excited animal balancing on a ball. "Wonderful!" they read. Her earliest works were exhibited on the fridge. Beth takes delight in the study of nature. Her approach to figurative illustration combines the fantastical world of her imagination with representations of real-world flora and fauna. Natalie created Bricks and Paper as a fun and artful creative venture along side her full time architectural work. She is inspired by all things made from paper, honest and thoughtful design and beautiful architecture. She is passionate about the craft of making things by hand; the humble ‘bricks and mortar’ trades and processes used in the building and construction industry. 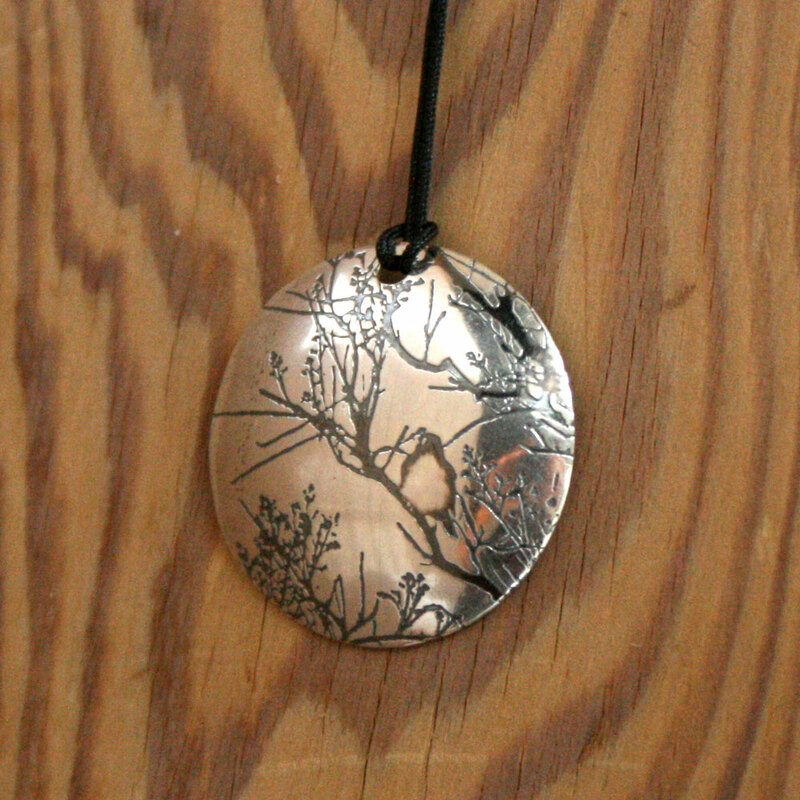 Claire Taylor is a Melbourne jeweller, who has been designing and hand making all her work since 2002. 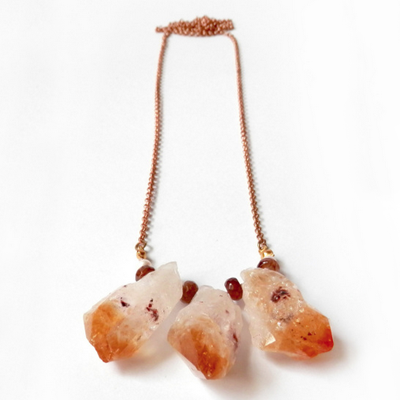 Originally inspired by a trip to India where she worked alongside jewelers, she returned to Melbourne and completed a Bachelor of Applied Arts in metal and jewellery at Monash University. 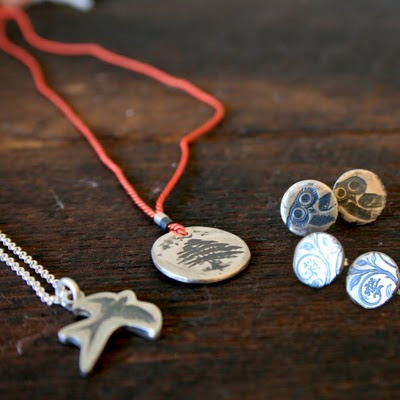 Inspired by nature, traveling and collecting, she uses various embossing techniques to print organic material such as leaves, grasses and feathers into precious metal. 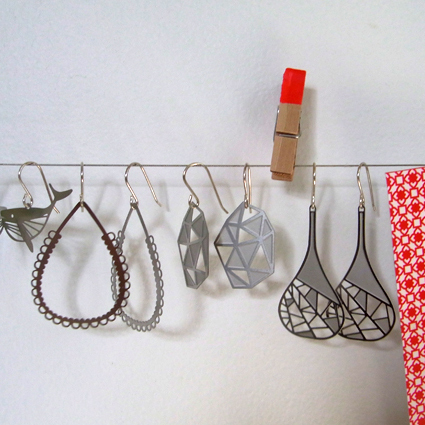 She is currently exploring and developing new methods of creating textures in metal. Her extensive travels have recently taken her to Morocco, Spain, Japan, Turkey and Croatia, where she has gathered ideas, textures and inspiration for her current ranges. She exhibits locally and internationally, recently exhibiting in a solo show in Barcelona in 2010. Clay Australia is a Newcastle based studio, with works designed by ceramicist, Kim Long. All pieces are created with beauty and simplicity found in nature in mind. 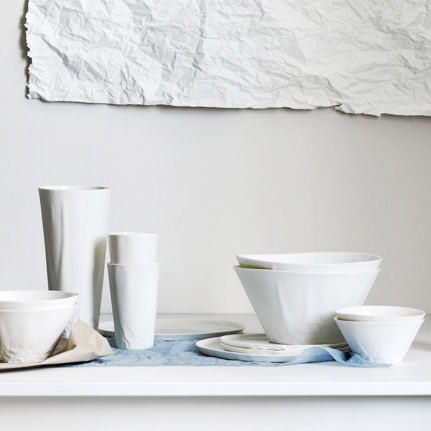 Clay Australia creates unique pieces that compliment everyday living. “Danish By Nature” hand-poured Candles by Gitte Stokbaek. Gitte was born in Denmark and has taken her inspiration of the functional, simple and pleasing Danish design of her homeland and created a line of bespoke candles that illustrate these qualities. 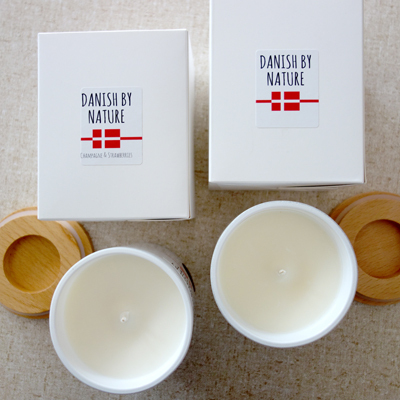 After completing a candle making course in 2014, Gitte started experimenting with techniques and fragrances, leading to the creation on her line “Danish by Nature” Gitte’s eco friendly and concious choice is to use only the highest quality sustainable, biodegradable, washable soy wax, ensuring a quality and beautiful product each and every time. Gitte finds the art of making the candles as therapeutic as lighting and enjoying one of her “Danish by Nature “ candles. She wholeheartedly believes in the benefits a “Danish by Nature” candle can bring. Gitte’s wish is for each of her candles to warm your soul, each time it burns. 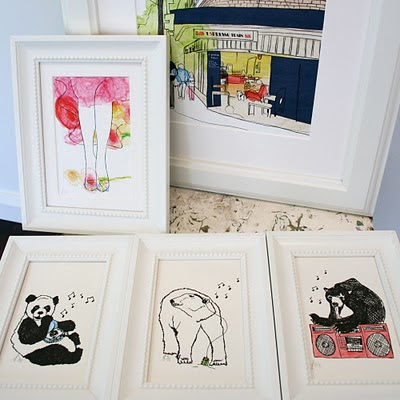 Lamina lives in lovely sunny Sydney, where she indulges her passion (obsession) for screen printing textiles, sewing and her love for making beautiful handmade items. 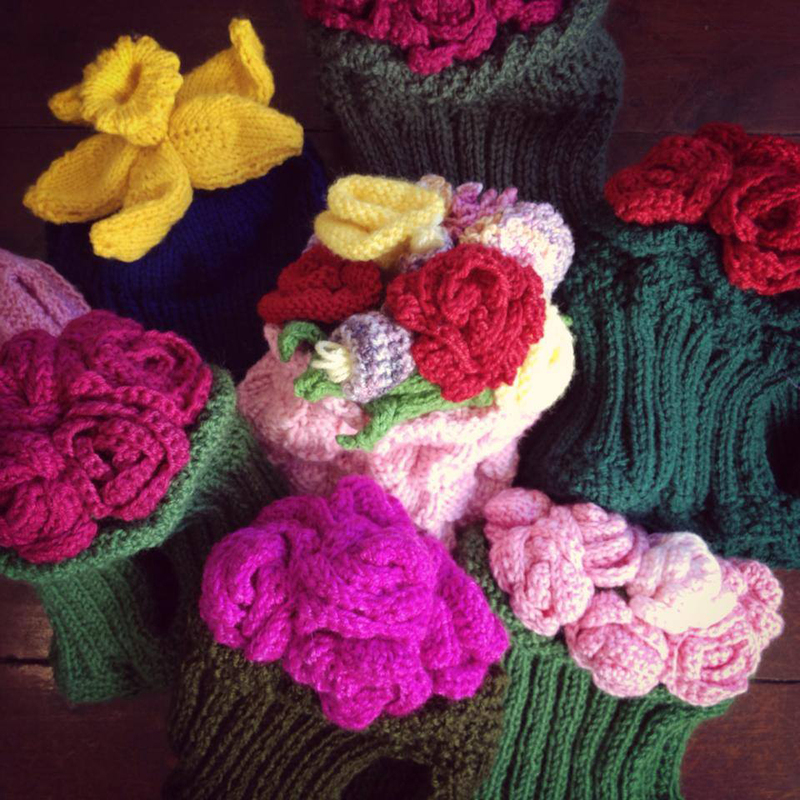 She believes there is nothing better than handmade and to "do a bit” creatively… everyday makes her one very happy lady! I began making jewellery in the late 1990's after studying archaeology at Sydney University. 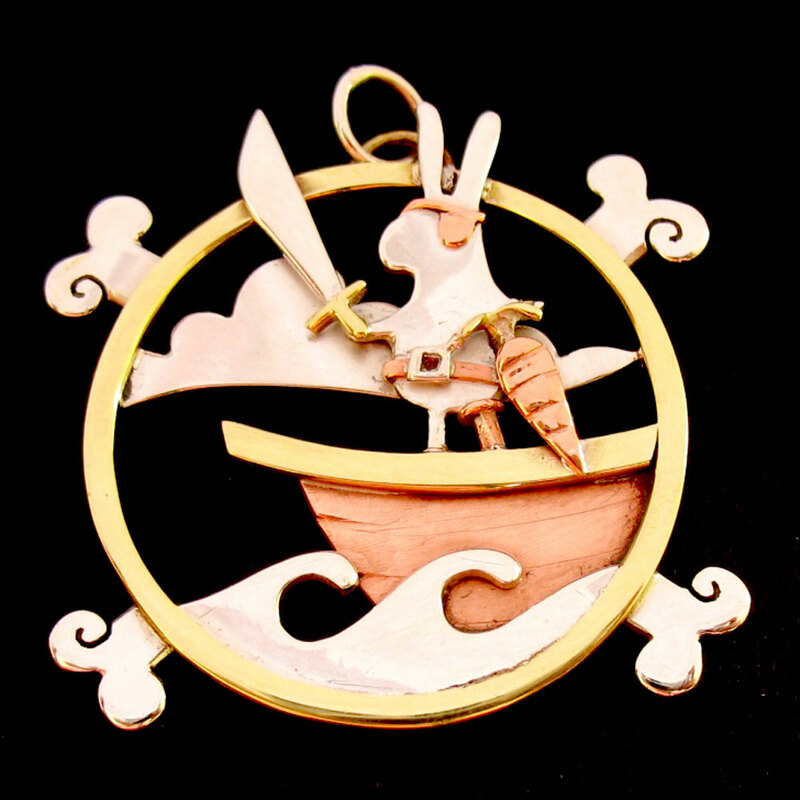 My jewellery is inspired by anything and everything, with emphases on anime, Scandinavian history and mythology, science fiction, folk tales and physics. I tend to design things from time periods ranging from slightly before the Dawn of Time to the (almost) infinitely far-flung future, although these tend to loop around endlessly like a giant Space Taco circling a singularity. Hello. My name is Dawn. I would love to live in a little cabin, up in the woods, with a furry cat, a sweet dog and my partner. But until then, I spend my days sipping cups of warm tea while enjoying the company of some nice pointy pens along with beautiful handmade paper and my watercolours. I like to keep my art focused on small events and subjects, the metamorphosis of insect larvae, the extinction or evolution of a seemingly pointless species. Usually I work on a miniature scale that suits these phenomenon and requires a little more focused attention from the viewer. 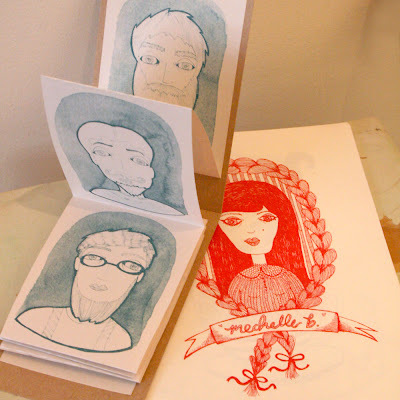 I work in traditional print media, primarily wood block and lino. 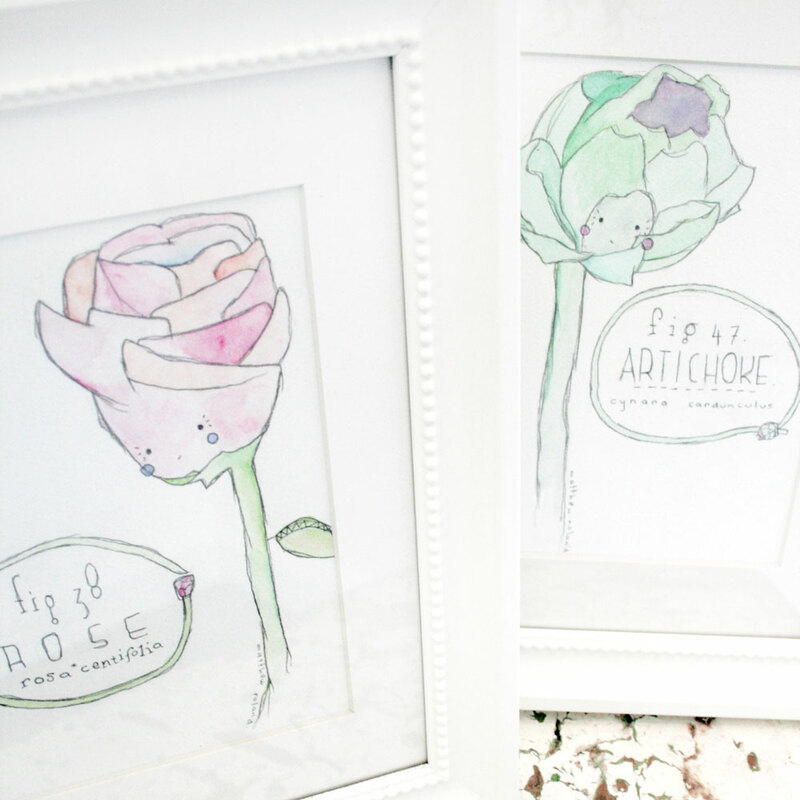 I also illustrate using watercolour and gauche. I draw a lot of my inspiration from the Japanese zukushi prints. These prints particularized things as varied as animals, toys, and theatre characters. 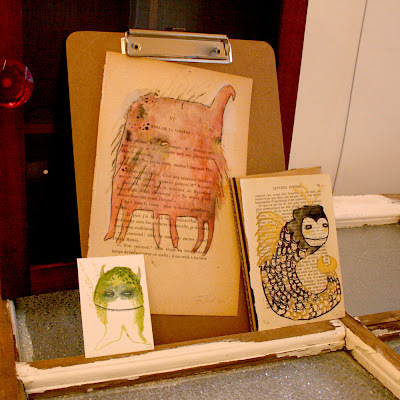 I’m also greatly inspired by the idea of a cabinet of curiosities. Cabinet of curiosities were kind of personal mini-museums. They contained objects from around the world that were yet to be identified or scientifically catalogued. Among the collected objects there could be fraudulent natural history specimens (like mermaids) or true specimens believed to have come from mythical beasts. It’s this blend of fact and fiction giving a sense of wonder, that I try to recreate in my work. 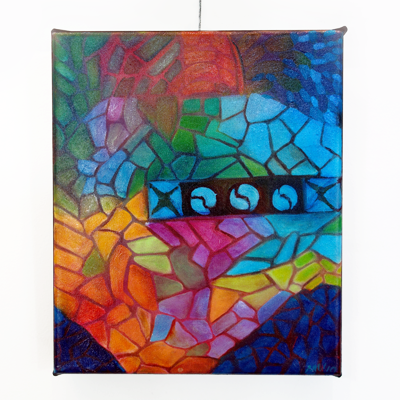 Eli Gallwey is an eclectic artist with over 20 years experience in oil painting, printmaking, pastel and watercolour. Featuring a memorable language of pattern and colour, her truly unique works mesmerize the viewer at first sight and linger in the mind long afterwards. Through researching for a thesis, Eli discovered that many cultures share a belief that the depiction in art of mountains and sky is a way of linking the land and its physical inhabitants to the spiritual plane beyond. For instance, Eli says, “indigenous peoples throughout the world believe that lakes, clouds and mountains are spiritual beings. And even the most hard-core atheist is moved to spiritual musing when seeing – for instance – a sunrise or sunset creating a light show across a mountain range”. If it has teeth and a mean stare, I'll draw it. I primarily work with loose line and bright, bold blocks of colour. Through my graphic style I try and express personalities and emotions, sometimes dark, sometimes fun but always striking. 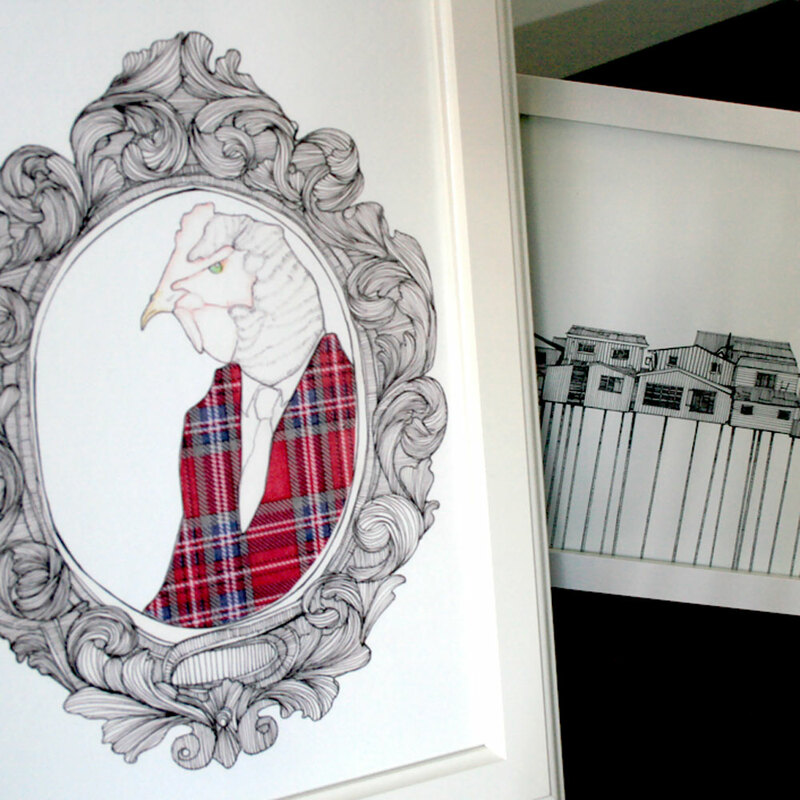 I'm inspired by traditional portraiture as well as contemporary illustration. Fashion and design also have a huge influence on my style and artistic decisions. 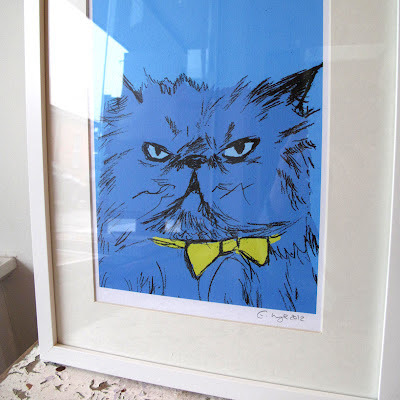 Ultimately though, I draw what I love - which a lot of the time, are grumpy cats. My work explores the combination of painting onto textiles or paper with embellishments such as embroidery, beads and sequins. 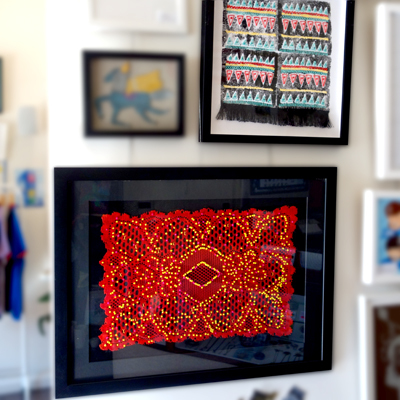 My works are bright in colour, pattern driven and overdosing in texture. 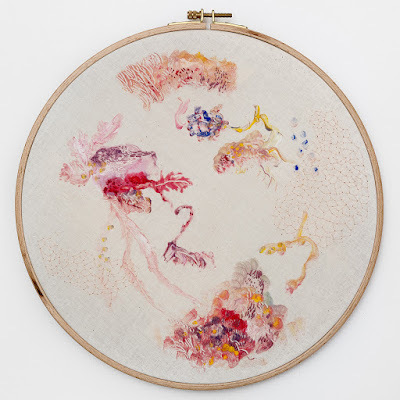 I am drawn to using thread as a medium because not only does it add interest in the replacement of the pen or paintbrush but every stitch sewn and every single bead added further enhances an artwork’s uniqueness, meaning no two are ever exactly alike. Fierce and vulnerable babes rule my world. My art is unapologetically for girls and I aim to support all women in my work. 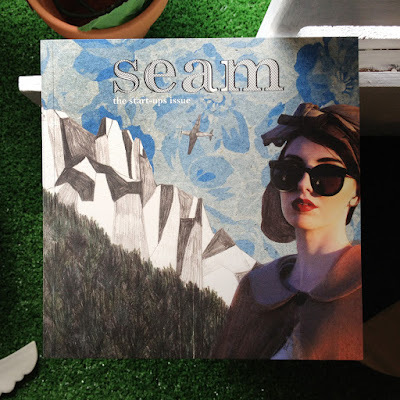 I love drawing, singing & making music, being inspired by girls, body positivity, intersectional feminism, zines & zine culture, street & diy fashion, living ethically, living cute, bright colours, adorable animals, girls taking selfies in their bedrooms, the 80s & 90s, electronica & techno, women making music, women making art, women taking over the world. I studied Metals and Jewellery at Monash University in Melbourne, and finished with honours in 2005. After finishing university I have exhibited my work in several galleries around Tasmania and Victoria. I enjoy making jewellery that is quirky, fun and different. 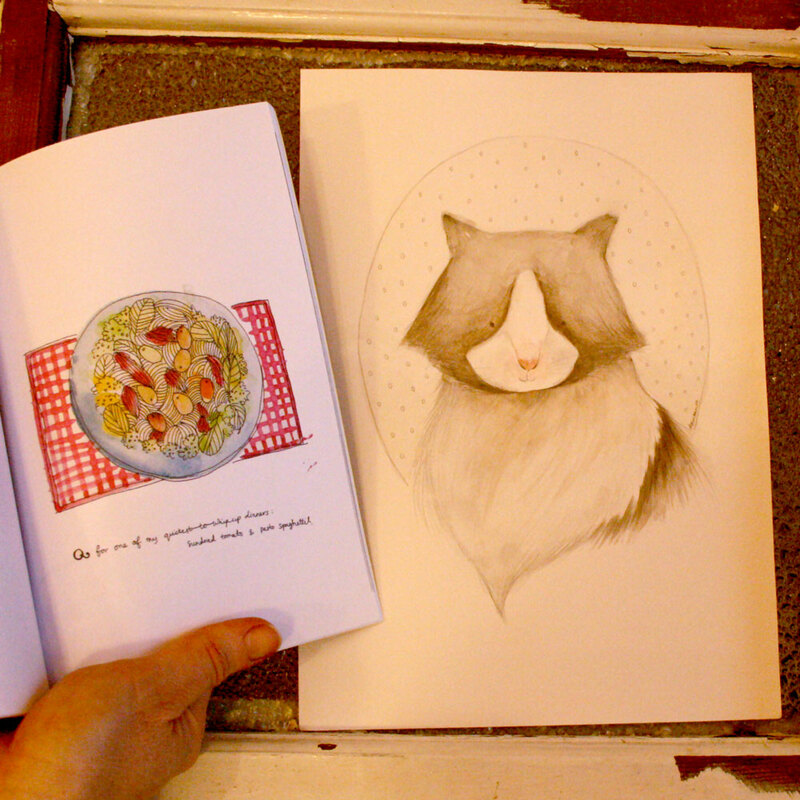 I like finding different materials to incorporate into my work, often recycling old cereal boxes and placemats. Often I’m representing everyday objects, or my favourite things. 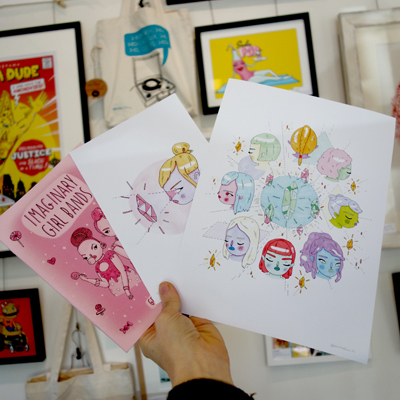 Genna Campton is an illustrator who lives and works in Melbourne Australia. When she’s not at her drawing table you will find her honing her skills as a bicycle bandit and scouring her local op shops for hidden treasures. 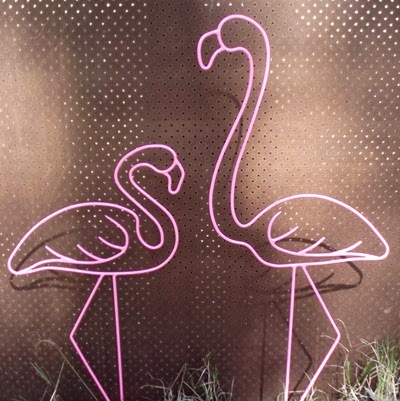 Inspired by two fictional characters conjured up by Sydney designer Rabia Lockwood, Ginny & Jude Designs was born with the aim to create statement pieces for the perennially overdressed. Accessories play an important role in the signature Ginny & Jude style and are seen as the finishing touch to any outfit. From hand-knotted semi-precious stone jewellery to hand-woven straw hats, each piece is handmade with care in the Ginny & Jude workroom. 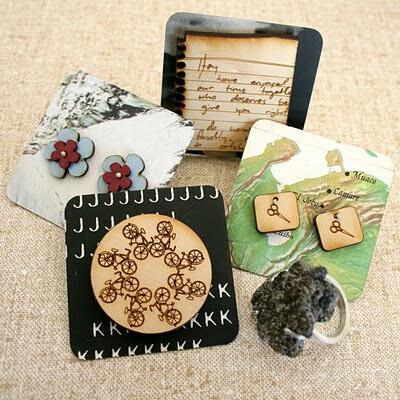 All pieces from Ginny & Jude Designs are proudly designed and manufactured in Sydney, Australia. 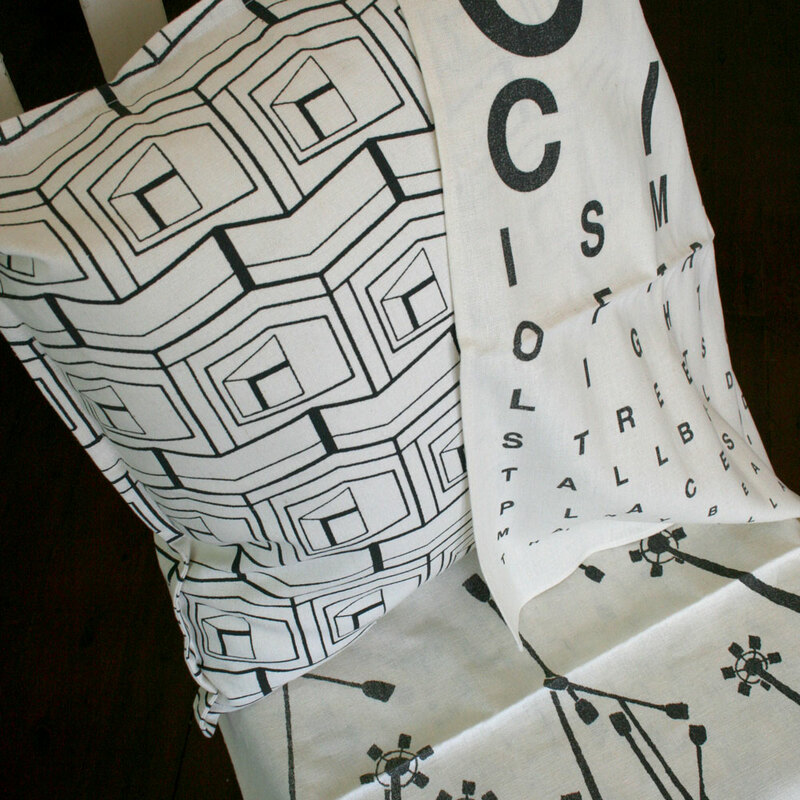 Have you met Miss Jones is a lifestyle company dedicated to providing contemporary designs for the interior. Originally specializing in white bone china Have you met Miss Jones has expanded to include clay pottery, capiz shell, metal and woodwork. Jennifer Jones has a background in fashion, having worked in the UK and Australia. She started Have you met Miss Jones in 2006. True to her roots, all products are sourced from the Philippines and are scrutinized to ensure they add value and pleasure to the living environment. Influenced by an appreciation of life's vast and diverse experiences and the importance of growing and learning from these. I use the lightness, translucency, mimicry and texture of porcelain to push the material and my skills to find a convergence of crafting and concept, in perfect synchronicity. 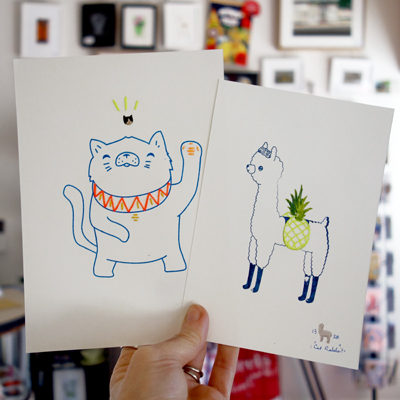 Ebony Bizys is an Australian graphic designer, artist, crafter and zine maker currently living in Tokyo. Before moving to Tokyo, Bizys worked at VOGUE magazines for 11 years, most recently in the position of Deputy Art Director for VOGUE Living magazine. Now days, Bizys spends her days freelance designing, making zines, learning Japanese, and riding her cute tiffany blue mamachari bike around Tokyo taking photos. Bizys studied her Masters of Fine Arts (Painting and Drawing) at The University Of New South Wales, Australia, and has had numerous solo and group art exhibitions. 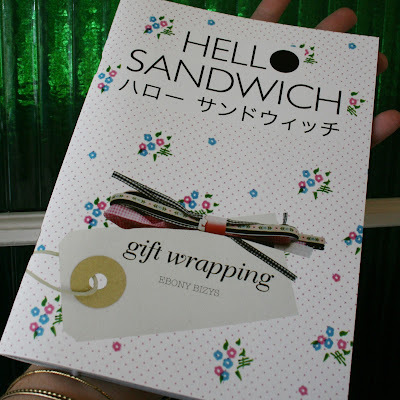 Recently Bizys has commenced 'Hello Sandwich Craft TV' how-to-videos and has hosted International craft workshops via Skype.Bizys lives and breathes art, craft and design in Tokyo and she shares her love of all things Japanese on her blog Hello Sandwich. 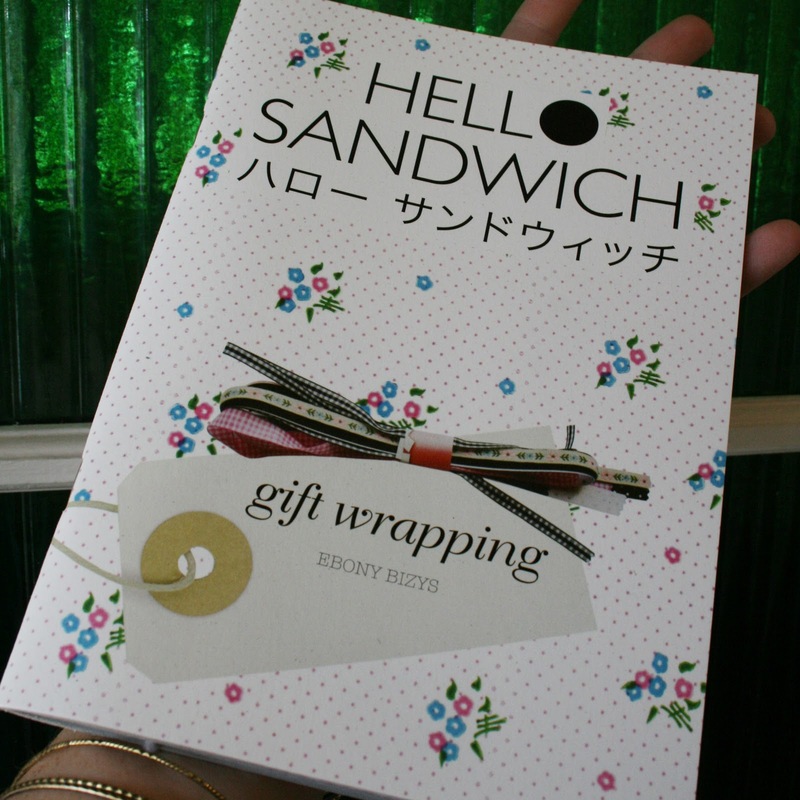 Bizys also recently released her second zine ‘Hello Sandwich Gift Wrapping’. Herbert and Friends is a Sydney-based softie label created by artist Torunn Higgins. 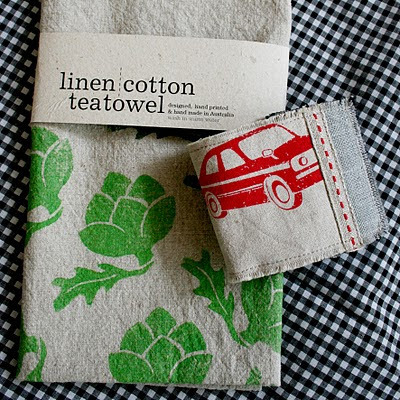 Combining her love of nature, fabric and design, Torunn's creations take on a life of their own. 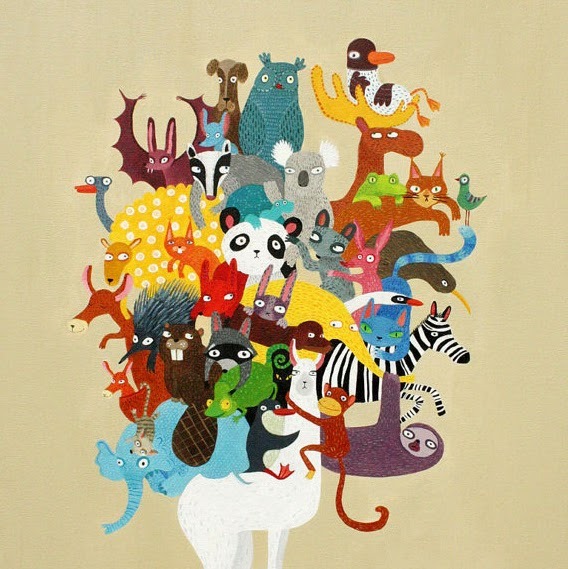 Her range of softies brings together an odd collection of friends, from turtles to alpacas and anteaters. These quirky characters get up to all kinds of mischief, and each one comes with a little account of their latest adventure. 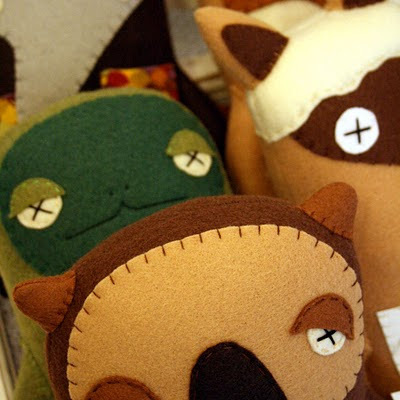 The creatures are handmade using recycled felt, up-cycled and new cotton fabrics. Iamflo started making jewellery in Buenos Aries in 2008. 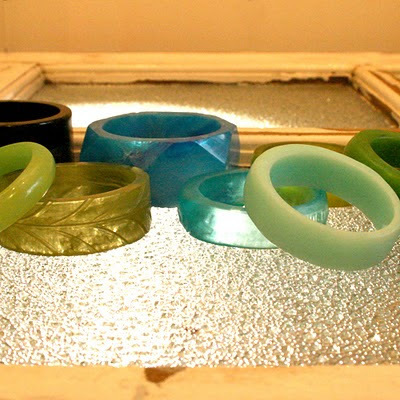 Now Sydney-based, Iamflo designs locally-produced contemporary jewellery pieces for Australian and international markets. Our designs merge traditional jewellery making techniques with industrial processes. We like to explore. ​​Iamflo works with well-considered, high-quality materials. Our silver contains 100% recycled content and our stainless steel is designed to last. 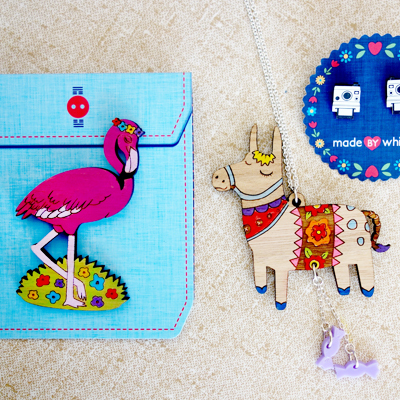 With a background in industrial and graphic design Iamflo founder, Florencia, creates unique and playful pieces that provoke a smile. 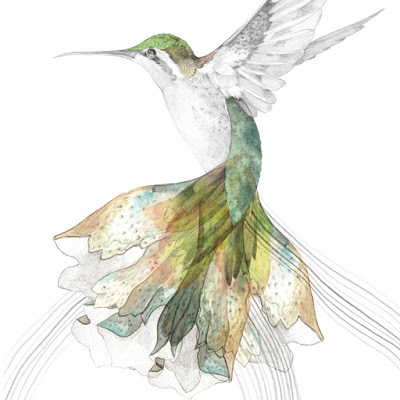 Her collections reflect a love for nature, travel, the sea and the built environment. Jackie Cooper is a portrait and wedding photographer based on the Northern Beaches of Sydney. She has a distinctive eye for capturing the quirky details of the world. Inspired by flowers, warm summer days, water, landscapes and architecture she creates moody, vintage and dream like images. 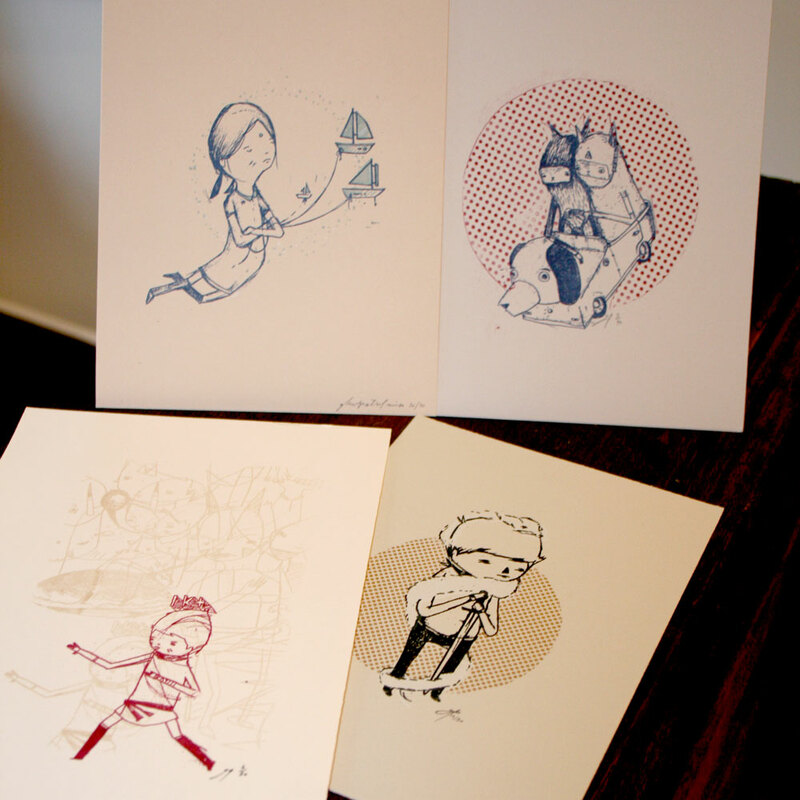 Artist, designer, illustrator, Jess is a puppy enthusiast from Sydney, Australia. She is inspired by women, nature, space, anime, and aspects from her Chinese culture and heritage. When she's not drawing, she enjoys good food, collecting pretty books, and making references to The Simpsons in conversations. 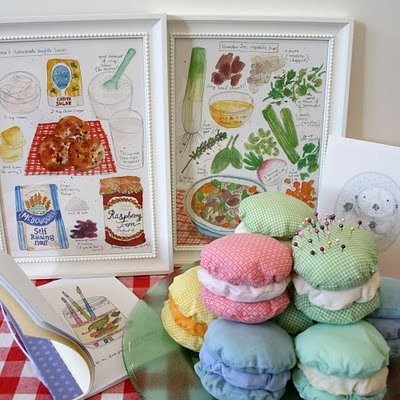 Following a career in Graphic Design, Jo had extremely itchy feet for some hands-on creativity and starting creating personal and household items. This indulged her love of fabric, sewing and printmaking and also follows her philosophy that to live every day with things you love is good for the soul. Her kitchen range and wrist cuffs, each one an original design, display her enjoyment in both design and creating, using repurposed, salvaged and new fabrics materials to create a little work of art in each one. I’m a professional multi-disciplined graphic designer and illustrator. I’ve recently moved back to Sydney after having lived and worked in London’s East End. I love getting my hands dirty and I’ve painted several large scale murals for studios around Sydney and also take on commissioned illustration work. The motivation behind what I do comes from my love of exploring and experimenting in different techniques, styles and technologies. My work is heavily influenced by my ‘cheeky’ sense of humour, which I try to incorporate into as many projects as possible. Julie is a printmaker and natural history nerd. She studied printmaking and drawing at the ANU's School of Art and currently lives on the particularly inspiring far south coast of NSW. She's happiest standing next to a press, elbow deep in ink and playing with paper. I am brown eyed, right handed and very often melancholy. I am very good at multi tasking. You will often find me eating, talking, drinking and drawing, all at the same time. I think I make the perfect Yorkshire puddings, but I am more than willing to try yours. 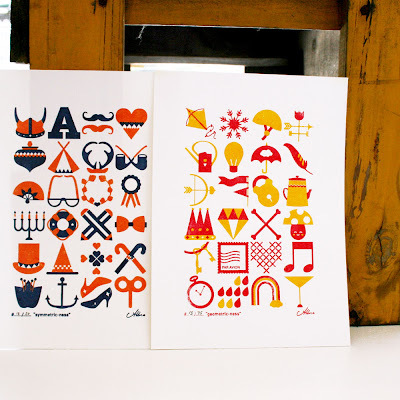 I am an artist, illustrator and printmaker currently based in Toronto, Canada. 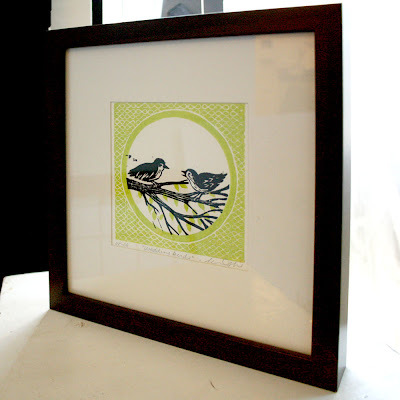 Her design company produces cards and calendars bearing her distinctive hand-carved lino-cut images. 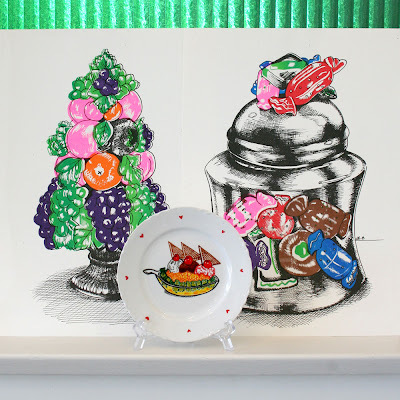 Inspired by the sweetness of everyday life, her prints really get to the heart of the moment, and have been earning a devoted following worldwide since 2006. I am studying Fine Art at the Queensland College of Art and completed my major in gold and silver smithing in 2006. I live and work from my studio in the heritage area of Woolloongabba Brisbane with my little boy and two furry friends close by. Inspiration is everywhere, found most often when and where you don’t expect it. All of my ranges tell a story that goes beyond that of conventional adornment. I am committed to keeping my work made in Australia using 100% recycled silver (chains are all sterling silver but not necessarily recycled).You can know that any piece of mine you cherish has been hand made with integrity in my studio. Specifically – the range you have which is titled A Little Piece was conceived when we were living on a 700 acre farm in northwest NSW. 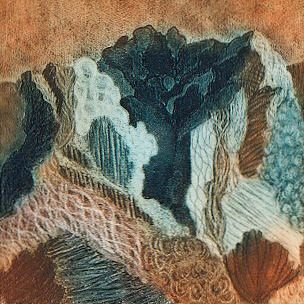 The image which is etched into each piece is part of a photo I took of a jacaranda tree outside my studio at dawn when the doves were catching the first morning rays. I'm a 16 year old living in Haberfield, gradually filling my family home with zombies, vampires and morbid imagery. I have a tendency to describe skulls and bats as adorable, and to give impromptu lectures on issues surrounding gender. Teenage goth I may be, using my interests to represent themes I have opinions on: inequality, ignorance, selfishness and materialism frequent my creations. 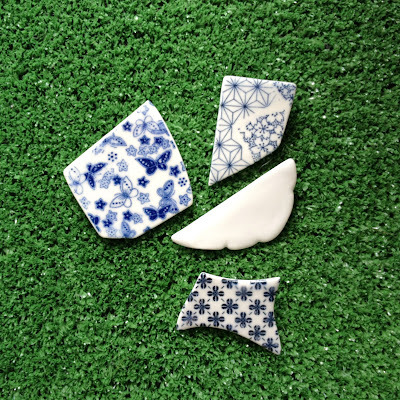 I am a ceramic artist with extensive experience in reduction fired stoneware and porcelain. I create porcelain jewellery in various shapes such as clouds and butterflies. I also use a collection of blue and white Japanese paper decals or my own custom made decals for decoration. Childhood education taught that ‘idle hands make for the devil’s work.’ Life education proved it to be true. Daughter of a talented seamstress, it could be said that designer Amanda Nakalevu’s love of colour and texture is in her genes. Following long success as a floral designer, creative thirst and idle hands gave life to little slave. 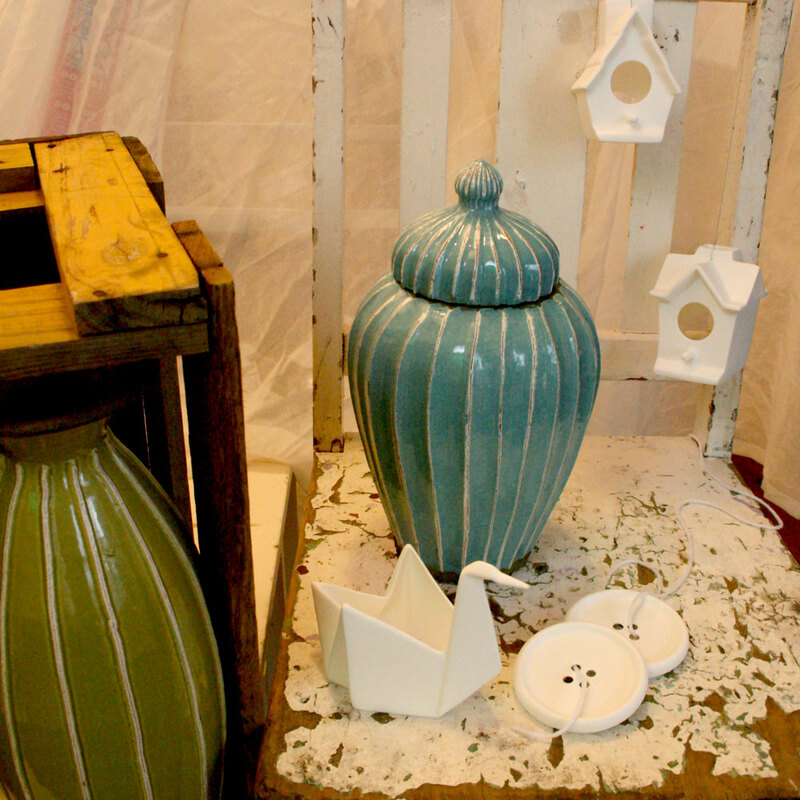 designs range from pure simplicity to bespoke statement pieces that provide character and absolute uniqueness. 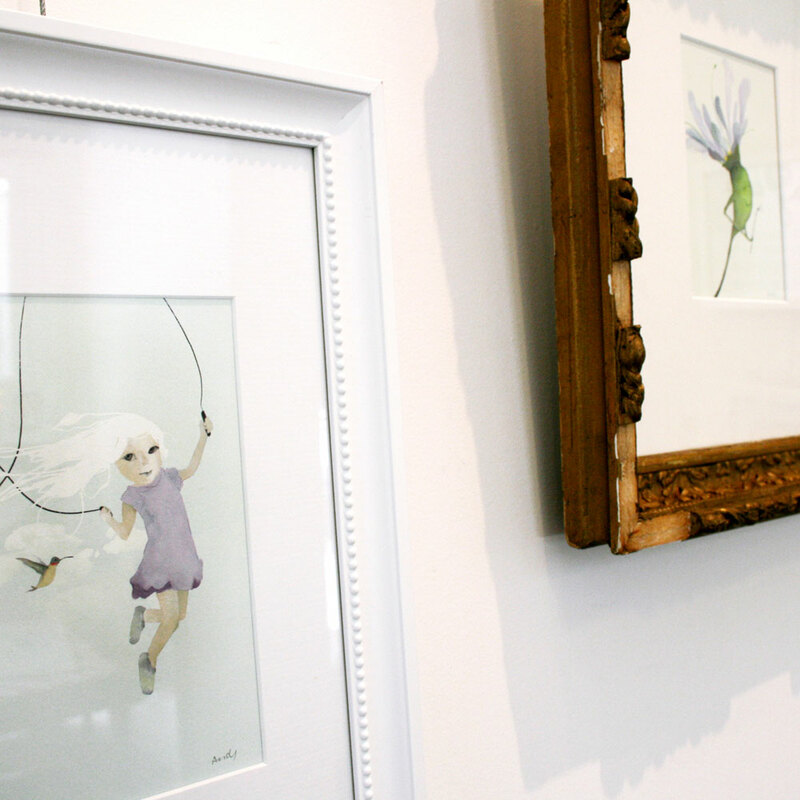 Reflecting beautiful, creative fun is signature to little slave’s relaxed style. Since the early 80’s (when Kell was born) we have been best friends. We were lucky enough to grow up in a very crafty household, trying our hand at every hobby our super talented mum was into at the time... But until Made By White was born four years ago, we were never sure what we were destined to do together. 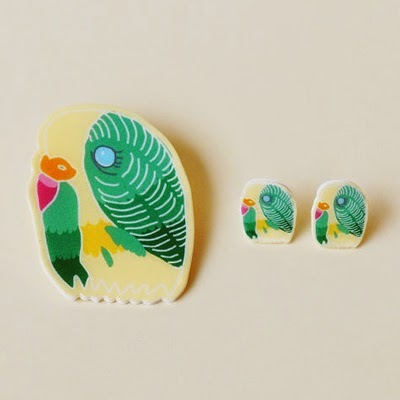 Jewellery design captured us right away and after starting off hand cutting little perspex animals and simple shapes we moved on to bigger and better things... Laser cutting intricate brooches, necklaces and much more, from a range of colourful materials. 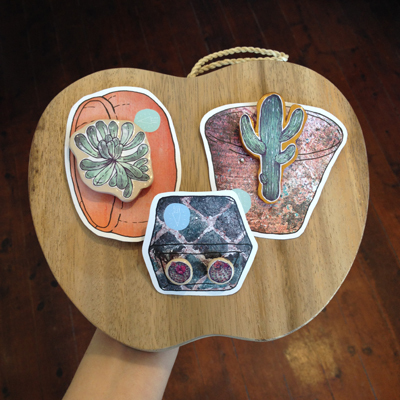 Our range has grown from a few classic pieces using perspex and sterling silver, to a large range of wooden, laminate and perspex brooches, earrings and necklaces. Marilyn Walters first visited Bacelona in 2006 and then again in 2010. This body of work is in part, her response to that wonderful cityl its gardens, its boulevards and squares, its gentl, passionate ambience, its music, its food and street life, its extraordinary buildings and the eccentric genius of its architects and artists. Matthew Roland is a 'hip' and 'with-it' young illustrator who spends the majority of his time drawing, with the slightly lesser majority engaged in awkward conversation. He boasts an amicable relationship with his water colours, and often goes window-shopping for fonts online. Matthew Roland loves the rain, hates the beach, and hopes you like his work. My work has been described as sweetly disturbed, just like me. My work is a refection of me, the things I see, the people I meet and the loves of my life. I’m inspired by everyday life. I try and look at the humorous side of sometimes quite ugly situations. I am a graphic designer and artist and have been working for the last 14 years in publishing in Sydney and Edinburgh. In 2010 I decided to pick up the paint brush again and pursue my love of painting. 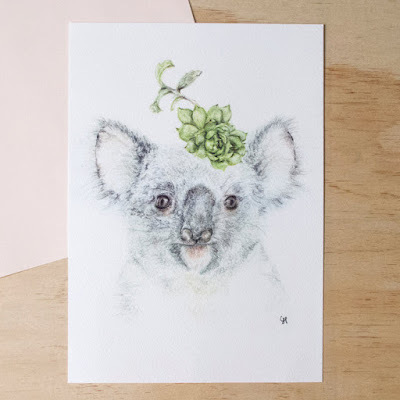 My compositions vary from simple, often nostalgic still-life studies with plain backgrounds, to portraits of animals which aim to capture a very specific sensibility, a unique and thoughtful creature, with a good dose of humor for the viewer. I adore cats, drinking tea, anything French, movies, reading, and traveling amongst other things! Heralding from the Sunshine State, Milly Dent relocated to Sydney in the Summer of 2010 after an inherent desire to make eventually took over. 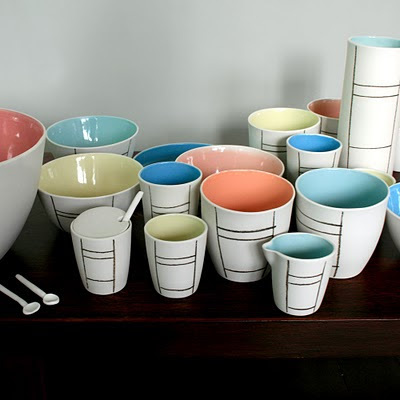 Milly has fast become known for her distinctive marbling effects and geometric pattern work that challenge conventional expectations of tableware. 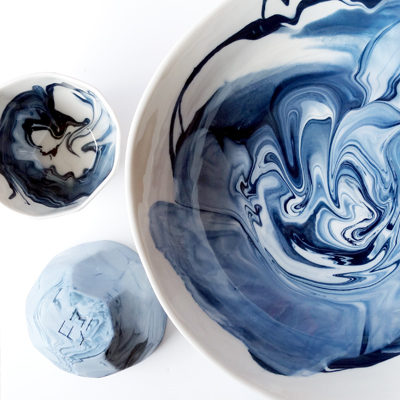 Inspired by the natural world, her vessels invariably display a whirlpool of inky blues frozen in the fluidity in which they are created, resulting in an organic, yet contemporary aesthetic. The underlying philosophy of her work is based on the simple ideal of producing work which is uniquely handmade and results in practical outcomes which are equally as utilitarian as they are sculptural. Monstar Metal specialises in decorative metalwork fabrication inspired by the designs of the early to mid 20th Century. This was a period when the skill of an artisan to individually handcraft unique & attractive objects was still appreciated by the public. Monstar Metal preserves this tradition and, with over 30 years experience in the metal trade, proudly continues to create individually crafted, beautiful pieces of metalwork. At myHoopla we develop hands-on activities for creative play, where the children are the masters of design. Using products fit for a king, the Hoopla experience lets kids explore, dream and discover. Each project is designed to nurture the development of growing minds and excite open ended play, only limited by your imagination! myHoopla is lovingly brought to your from Melbourne, Australia! 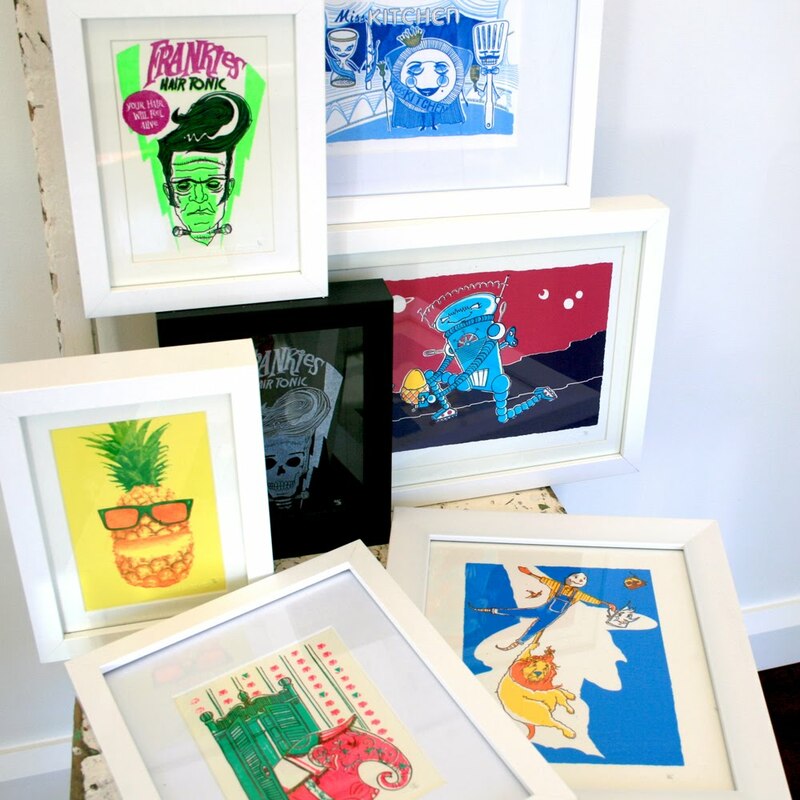 Nic Lawson had a childhood filled with colourful and funny comics, so it only made sense that when she grew up, she would become a cartoonist! Currently living in Canberra, she spends her days in her little house with her little dog creating stories she hopes you will all enjoy. Anna Bartholomaeus is a self-described photoholic with a love for graphic design and clever ideas. 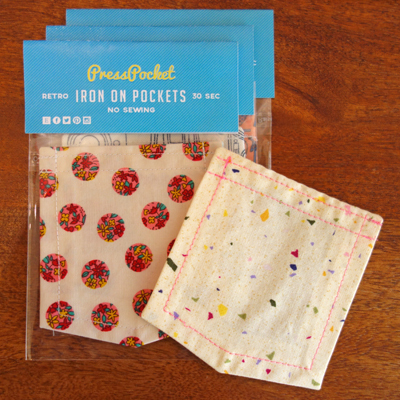 She is a pocket enthusiast who wanted to pick and create retro patterned pockets. An idealist who wants people to up-cycle their existing clothes.... without having to buy a sewing machine. She created PressPockets - No sewing, Iron on Pockets. magazine supports emerging creative practitioners. Pop the kettle on and get your cup of tea ready for the tactile eco-papery goodness of The Start-Ups Issue. 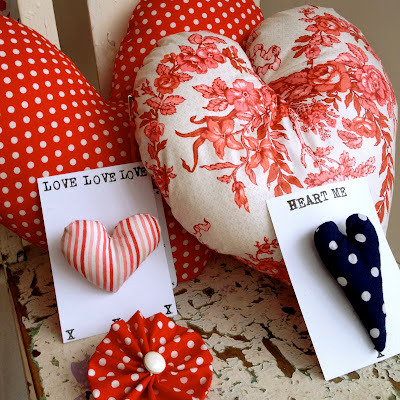 Most of my work is a one off using vintage fabric or found things so cannot be exactly re-created so if you like it, buy it! 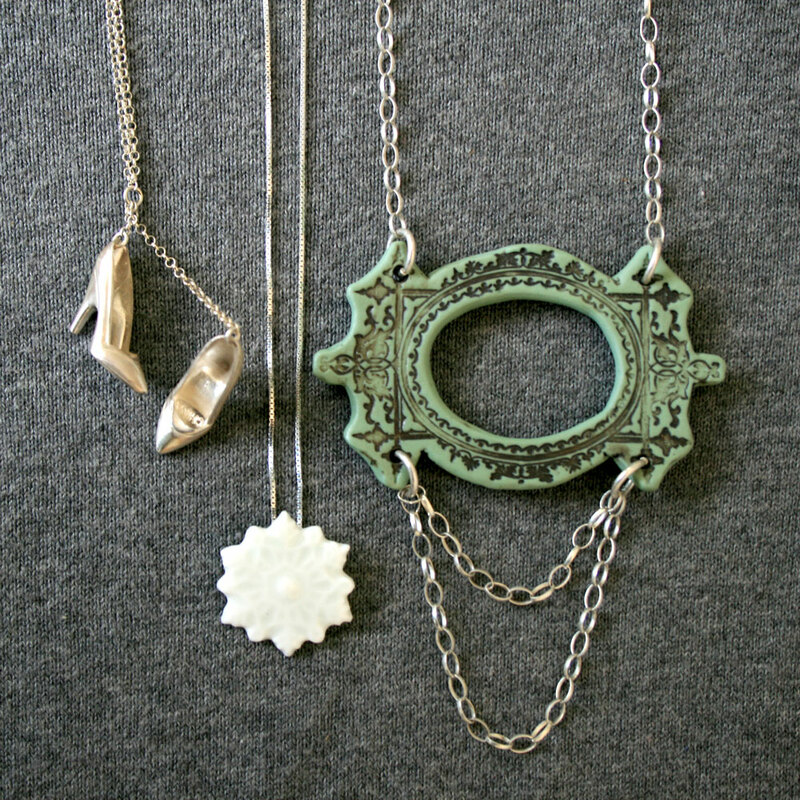 I like making one-off pieces as I believe the things you own or wear should be as unique as you. Hi! My name is Anna Farrell and I’m a local Illustrator and watercolour artist. Strongpencil is my artist handle that came about from my time working in a busy Creative Agency in London where the term meant ‘we want that artist put them on Strongpencil’ (rather than just ‘pencilling them in’ to the diary...) from there a little fat man in a Mexican Lycra-striped wrestler’s outfit crushing my 2B go-to Staedtler Pencils in his hairy fists wearing a pencil/dunce cap started floating about in my head and my name ‘Strongpencil’ took hold with its very own mascot. I love to paint Pugs, Cacti and Succulents and I love painting strange but interesting characters...my work appears in group shows, private commissions and on T-shirts as well as my own Nic nacs in my own little Strongpencil Store on Etsy...my background is in Printmedia with a Bachelor of Visual Arts and I’m also a Graphic Designer in training...still loving the adventure of marrying fine art with design! I try to inject a little bit of humour and fun into my work because at the end of the day...that’s what life is all about isn’t it? Luka is Lithuanian illustrator creating positive, a little bit naive art with quirky characters inspired by everyday city life, inspired by works of modern illustrators and cartoonists, street art and nature. After moving to Australia started exhibiting in group exhibitions where works range from tiny ink drawings to multicoloured canvas paintings. She also has a greeting card and t-shirt brand called Surfing Sloth. Zoe comes from a ceramic sculpture background and has exhibited in Australia and Overseas. Wah-Wah Wears started slowly as a way for Zoe to keep making art after the birth of her son Easton. As her studio space and time for art making grew smaller, so did the size of her work. Now Easton is older, Zoe is rolling up her sleeves again, and getting Wah-Wah Wears out there.